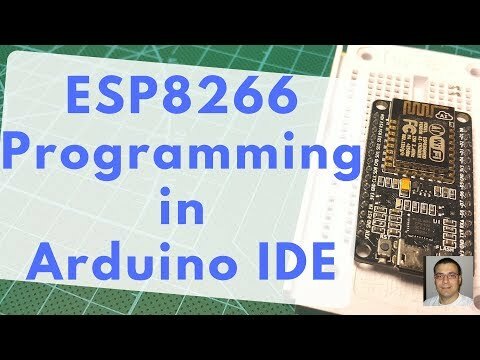 How to setup Arduino and ESP8266? new library and see its examples. where I explore further and beyond about tweaks, hacks, electronics and house repairs. arduino software from "arduino.cc". Find the program under the software section. our esp8266 modules. In browser enter "github.com/esp8266/arduino/releases". Find the latest version at the top and copy link of asset ending with ".json". boards manager URL" paste the link we have just copied. Click OK.
Go to tools - board - boards manager. Select updatable, select ESP, click update. Wait a few moments and click close. That's it! When you have the program on your hard drive just find it! board, you will have to change the board. Go to tools again, then select your board. arrow icon. You can see shortcuts under sketch menu. you can import your zip library packages you have downloaded from internet. case we use esp8266 core. This core uses arduino json and some other libraries. for new libraries to install. Let's say we want to install a relay library. can search and open enclosed examples and compile them. pressing the flash key, if you have one, while powering up or resetting the module.